Have a Kick'n Birthday at Jacob Flame's Tang Soo Do University! You sit back and relax as we do the setup, keep the kids entertained, and then clean up! TSDU has many different options for Birthday parties, and each package can be tailored to your families needs. Birthday parties at the Karate Studio are the coolest! 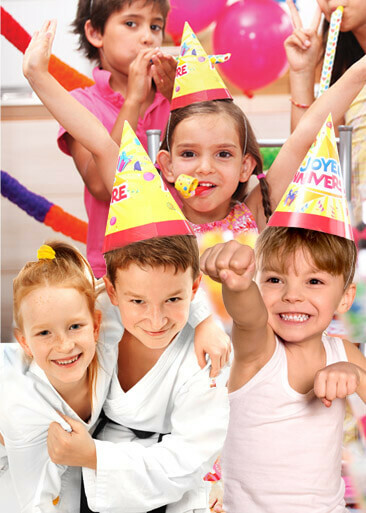 We offer a variety of birthday party packages all including a mini class, games, free week of karate for all guest, and a free private lesson for the birthday boy/girl. 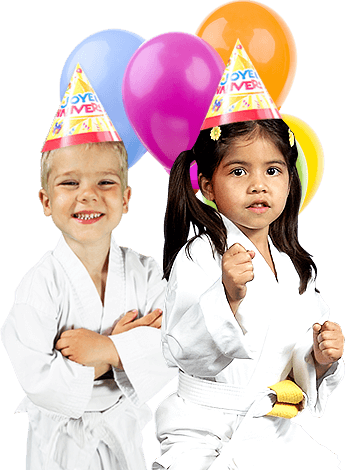 Please call or stop by the studio and ask about our birthday package and your personalized martial arts birthday party. We recommend scheduling in advance to guarantee your date. 1 Hour use of common area for food, cake & presents. We do all the set up & clean up! Extra Children – Have more kids than your birthday party allows? Add on more children for $10 each. Make sure to book your birthday party in advance since the schools have busy schedules.